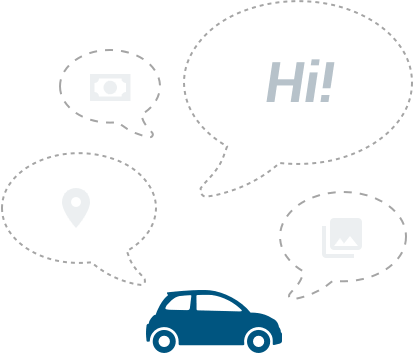 Can sensibility and desirability co-exist in a vehicle? Regardless of whether it’s a full-blown supercar or a seven-seater MPV – arguably the hardest job for any manufacturer, and indeed its multi-disciplinary – in many cases international – team of engineers, designers, software programmers, and the lot involved with the actual production of any vehicle is creating desirability for any vehicle it hopes to sell. Arguably the job is made easier if you were designing an iconic sports car like the Porsche 911, but potentially harder when developing a car like say… the Toyota Rush. Seven-seats, 13 cup holders, a powertrain that could last for eons, and yet an exterior that finally manages to look modern, stylish, and to a certain extent, desirable. It boils down to that endless pursuit of form and function, and a careful interplay of which creates a car that is both a joy to own and drive but is also cool to look at and show off to your friends. The Volkswagen Golf 1.4 TSI in its earlier generations may have been a great car to drive, but admittedly was a bit bland with its sedate styling, small-ish wheels, and reduced levels of equipment. With the introduction of the facelifted Golf Mk 7.5 range – which incidentally also marked the start of largest VW product offensive in history – the humble Golf 1.4 TSI has received an extensive update not just to its exterior, but in terms of the overall equipment levels, and in the case of the car you see here, the addition of the R-Line package. But while it looks better, does it have what it takes to offer that all-important Golf trait of being a sporty car on a budget? Let’s drive. 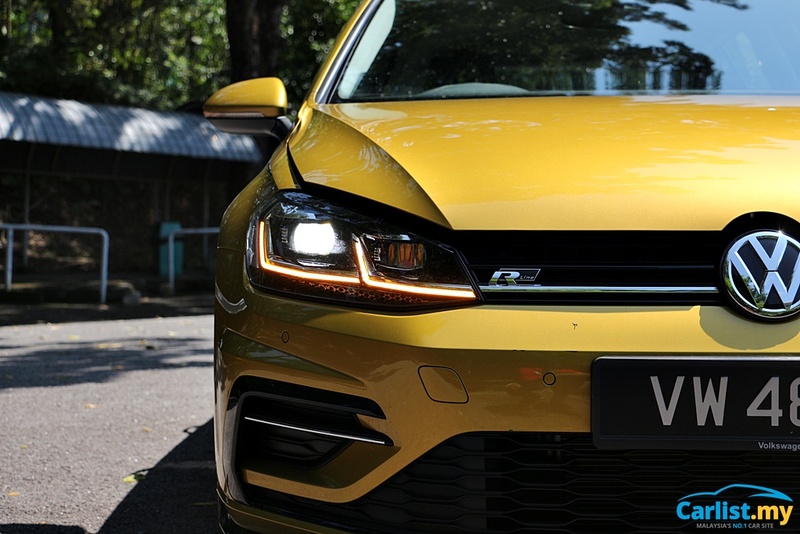 Billed as the baby-GTI of the facelifted Golf range – the Golf 1.4 TSI R-Line delivers a substantial chunk of the style and equipment of the Golf GTI model for a fraction of the price. 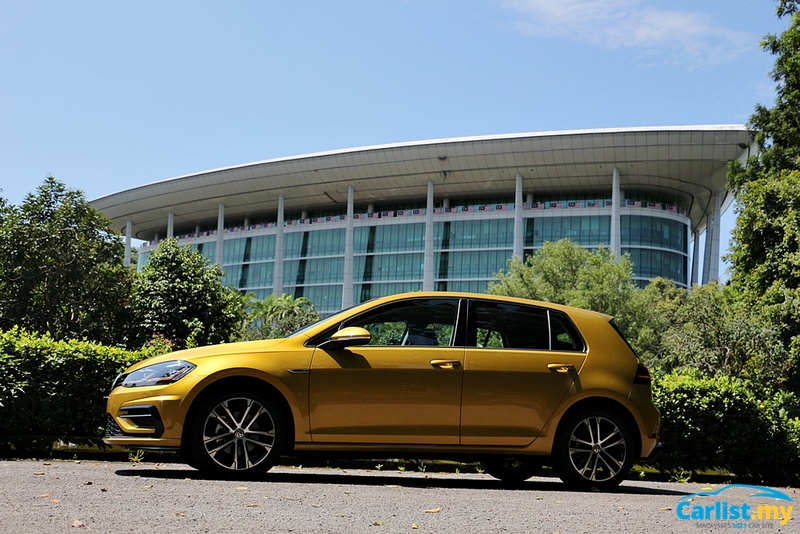 Priced at RM173,390, the R-Line is priced some RM73k down on the GTI model, which retails for RM246,490, post-SST introduction. Among the more notable highlights is the R-Line’s 8-inch touchscreen 'Composition Media' infotainment system, 'Climatronic' dual-zone climate control, 12.3-inch high definition Active Info Display, and keyless entry and start system – dubbed “Kessy”. 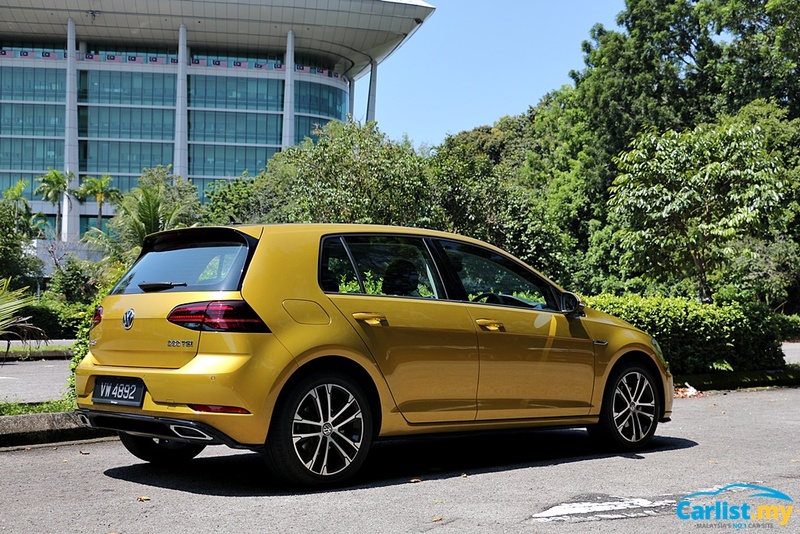 Visually, the R-Line is fitted with the R-Line front and rear bumper, side sill extensions, a rear spoiler, and 17-inch “Singapore” alloy wheels. LED headlights and taillights finally top off the tasteful list of styling additions of the R-Line variant. 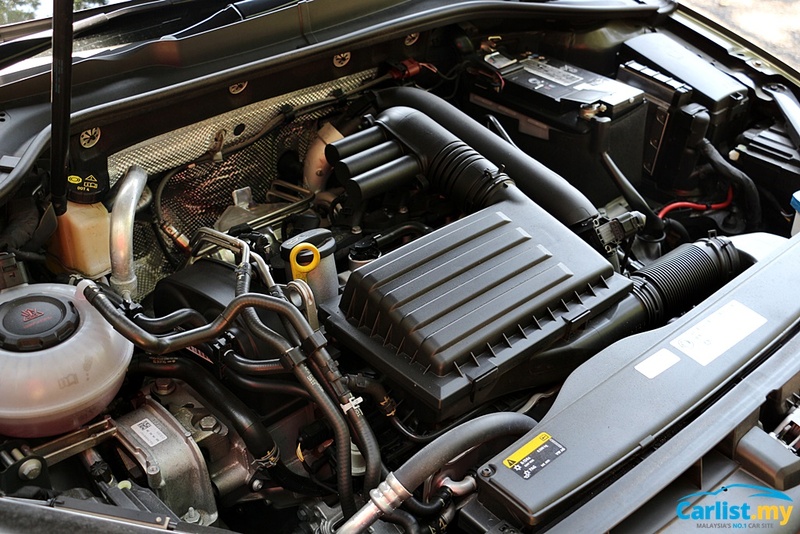 Under the hood lies the company’s proven direct-injected and turbocharged 1.4-litre engine which produces 148 hp at 5,000 rpm and 250 Nm of torque from as low as 1,500 rpm. Power is sent through a dual-clutch seven-speed transmission which is augmented by Volkswagen’s Extended Electronic Differential Lock or XDS for maximum traction at the front end. It’s a looker isn’t it – especially in the Tumeric Yellow highlight colour. 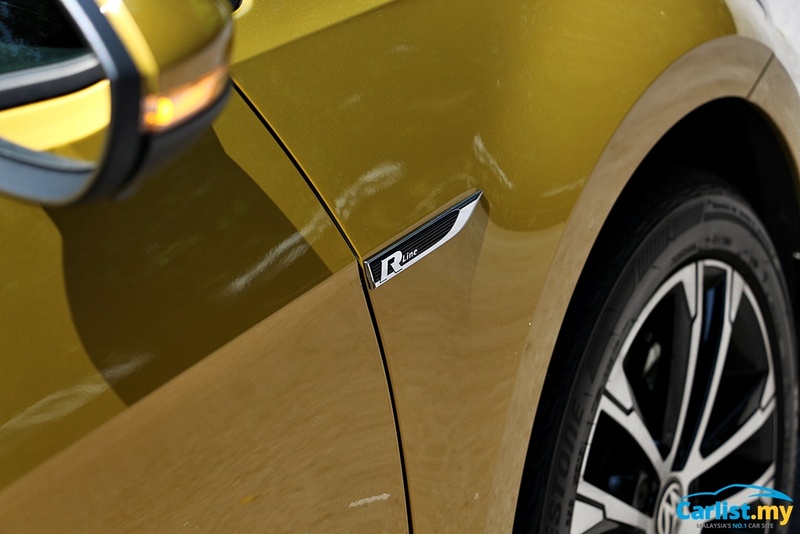 The gloss black winglets on the front and rear bumpers, and side skirts add brilliant contrast to the body and gives the R-Line a rather technical look. 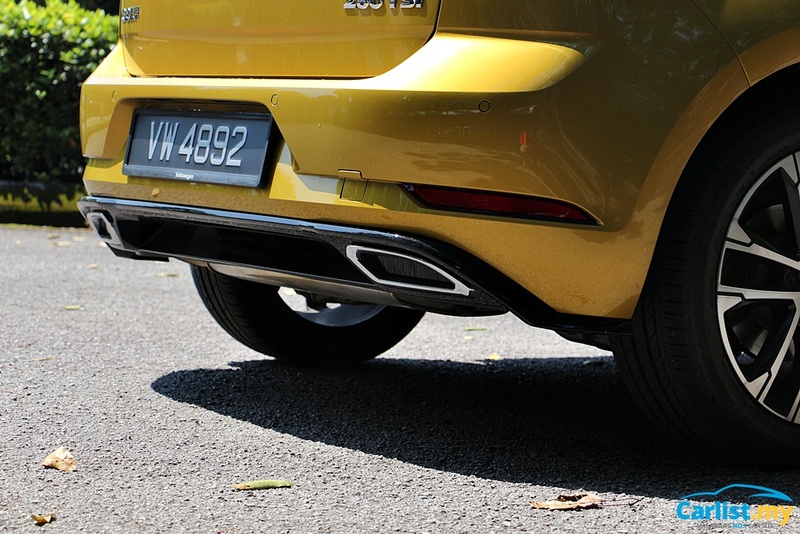 The 17-inch "Singapore" alloys are a wee bit sedate to match the rest of the car in my opinion, but the rim’s polished finish is top notch and looks the part. 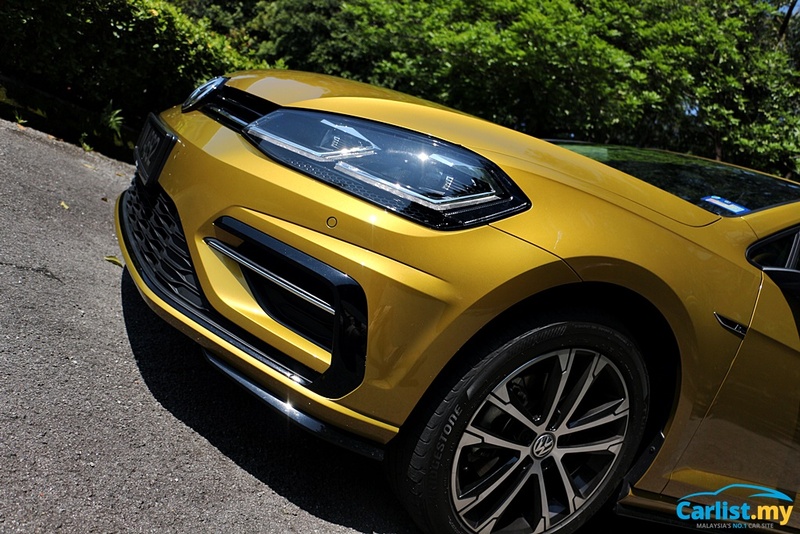 And one must not forget the sequential turn signals of the R-Line at both the front and rear: I struggle to think of any other manufacturer that offers this feature at the R-Line’s price range – and it goes a long way too – delivering premium execution at a rather reasonable price tag. In a nutshell – the interior is all one could need from a car of this size. 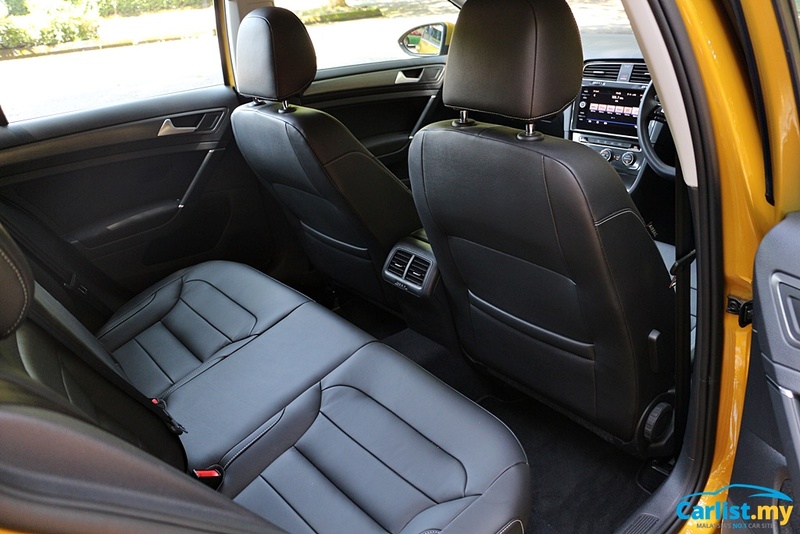 Admittedly, a Honda Jazz would be more practical if space is all that you’re looking for, but for the most part, the Golf R-Line’s interior will accommodate four with ease and is very comfortable even on extended journeys. Fit and finish, as you might come to expect from a Volkswagen, is superb: touchpoints such as the steering wheel, dashboard, door panels, and centre console all feel very well built – much better than the pre-facelift model – and offer much confidence that it would stand the test of time. And by far the most notable aspect of the interior is the 12.3-inch Active Info Display which relays a multitude of information in clear and organised fashion and is pretty easy to get to terms with, once you start playing with the steering wheel controls. And if I’m being honest, Volkswagen’s current generation of infotainment systems – an 8-inch touchscreen unit with MirrorLink, Apple CarPlay, and Android Auto connectivity in the case of the Golf R-Line – is relatively easy to understand and use. I also love that the Bluetooth reconnects with my phone almost as soon as I get into the car. Also, in terms of appearance and overall quality, it's about as good as it gets at this price range. Despite the Park Assist's good intentions, I did find it a bit of a bother after a while - it works very well - a bit too well that it instantly comes on in traffic the moment a motorcycle whizzes by even 5-feet away from the car.  So for the most part, one would end up having to repeatedly turn it off if you were navigating the crowded streets of Petaling Jaya or Bukit Bintang. Within minutes of getting behind the wheel of the R-Line, one can instantly appreciate its balanced driving demeanour. In many ways, it’s a sports car dressed in a casual evening suit. The DSG double-clutch transmission has over the years been developed to be an extremely smooth and versatile unit. This is best demonstrated when starting from a standstill or creeping in traffic – it’s smooth, with no drivetrain judder during clutch activation – almost like a torque converter automatic. As you build speed, gear shifts are trigger quick and almost unnoticeable unless you’re monitoring your rev counter. 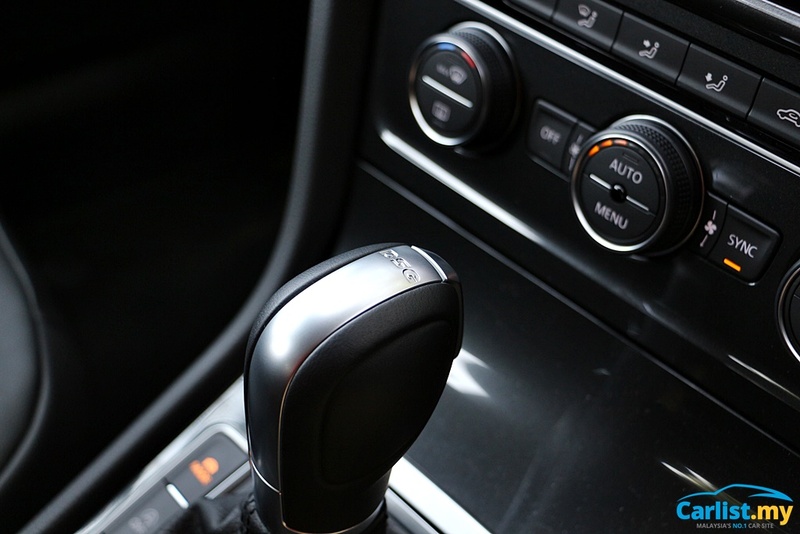 Depress the throttle, and the transmission intuitively calls up a lower gear. It pretty much does exactly what you wanted it to do, when you want it to. As does the engine. 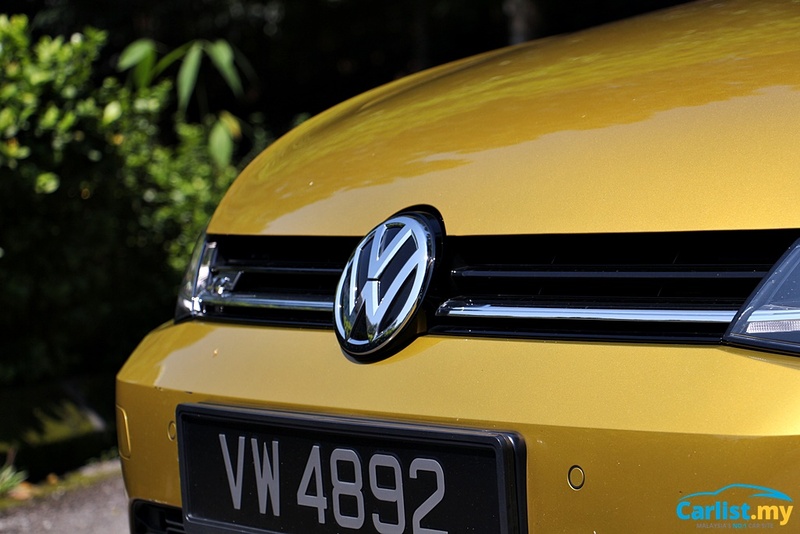 I’ve never been short of praise for Volkswagen’s little 1.4-litre turbocharged powerplant – powerful, zesty, eager to rev and most of all, deliciously linear throughout the rev range. 90 percent of the time, it simply feels like a naturally-aspirated engine, with no hint of turbo lag, and it pulls like a train from as low as 1,500 rpm. The car gets pretty manic if you toggle its drive mode selector into “Sport” mode – the revs heighten, the gearbox goes into full-attack mode, and the throttle pedal responds to every millimetre of input. Floor it and revs race to redline in every gear, while it may not have the swish-bang-pop and go of the GTI, it’s no slouch either. Often times, I ran out of road way before being able to exploit the engine’s generous mid-range torque and top end power. Needless to say, it handles highway speeds with ease and will cruise all day at 170 km/h if you need it to. And given relatively low mass at the front, turn-in is sharp and predictable. The front end responds to every input from the equally quick steering rack. Mid-corner balance is sublime given the body’s rigidity levels and superb suspension setup which manages to be both comfortable when you’re simply cruising around, but responsive enough when you feel like bashing about. But do keep in mind, the fuel economy does go up quite on the urban cycle. Constant stop-and-go returned fuel economy readings of 12.0 litres/100 km, which is a bit thirsty for a relatively small engine. On the highway though with seven closely stacked gears, readings can drop as low 6.8 litres/100km, if you drive conservatively. 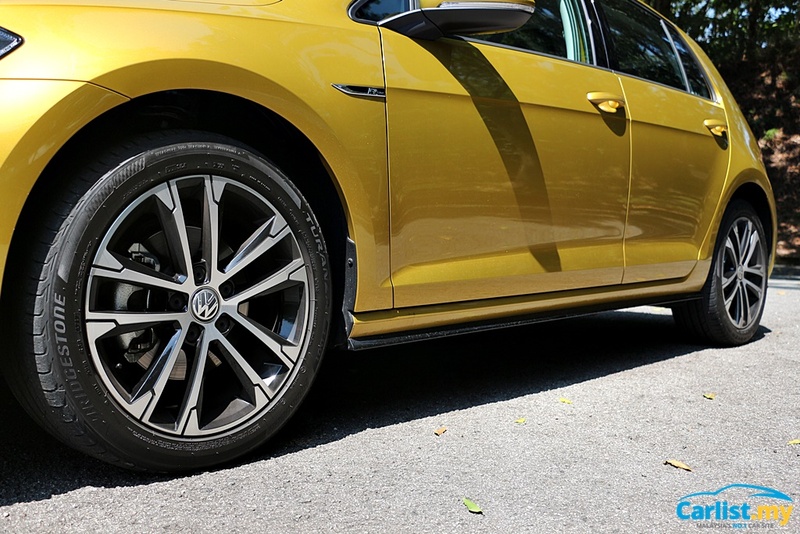 When viewed in isolation, the 1.4 TSI R-Line is the same well-sorted driving machine that it has always been, now made even better with the stylistic enhancements and better equipment levels. If we don't consider Japanese rivals such as the Mazda 3, which is a great car in its own right, its Golf's closest competitor is the BMW 118i M Sport. Given its rear-drive powertrain and excellent driving dynamics, the 118i pips the Golf in terms of an overall package, but it does cost roughly RM15k more. 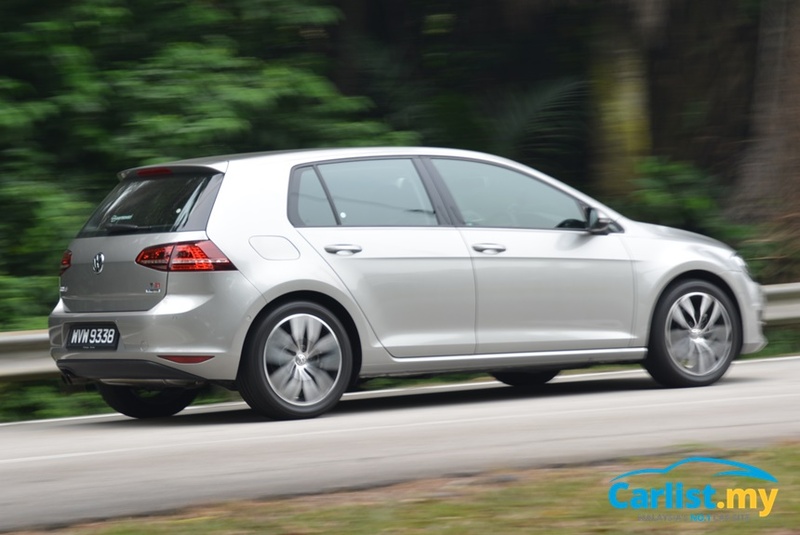 But that doesn't change the fact the Golf R-Line offers great value and is every bit the "budget" performer even when compared against the iconic Golf GTI. But in the case of that all-important quantum of street cred - I would argue the VW Golf 1.4 TSI R-Line finally has it... and has it spades.